Work for Viral Content Bee? Learning about Viral Content Bee? I've been very surprised with how helpful Viral Content Bee has been for bringing exposure to my blog posts. For a site that is essentially free (unless you opt to buy more credits- which I haven't as I have no problem with sharing much of the content found on the site) you won't pay a penny and get a decent amount of shares of your content. I wish there was a more specific category for my niche. I write content for an electrical company and it would be nice to have a more relevant tag to share my content as right now I am mostly using home and garden, real estate, and family. It does the job well enough but I worry how relevant my content really is for the chosen categories. I've been very surprised with how helpful Viral Content Bee has been for bringing exposure to my blog posts. "Only good for large social media projects "
Viral Content Bee has excellent content in regards to social media projects, creating viral content, and how to track your data. Viral Content Bee is really only meant for firmly established social media pages and not startups or smaller pages. It doesn't give a lot of resources if you're starting more of a grass-roots community-driven page. If your team is looking to further streamline a medium-to-larger scale social media page/campaign, then this is a fantastic resource for you. If it's smaller, you might want to do more research to work with individual vendors. We are continuing to educate our team on the uses and advantages of social media, and Viral Content Bee is greatly helping in providing accessible and real-time advice for content growth. Viral Content Bee has been great for social media marketing. As a new business owner, I was looking at different, affordable websites that I can use to distribute my content to mailing lists, and this has been perfect thus far. It is a simple tool for sharing my content on various social media platforms. As a startup, it has been very advantageous in helping promote my products. Overall, Viral Content Bee has been great for spreading the word and giving my website more traffic. As of right now, Viral Content Bee does not allow for Instagram and LinkedIn sharing. I wish it would, as those two markets would be extremely beneficial for my client base. Don't be afraid to use it - just go ahead and try! There are plenty of resources if you're having trouble with the website, especially among current users. Viral Content Bee has greatly promoted my blog's perspicuity among a diverse group of client bases. I have been greatly successful doing this with Viral Content Bee. Additionally, Viral Content Bee's sharing features have driven large client bases to my website. This promotes traffic as well as new followers. "I use Viral Content Bee (VCB - formerly Viral Content Buzz) just about every day"
Viral Content Buzz makes it fast and easy to get others to share your content. Their platform has many influencers on it. Easily add more credits to bump your request back to the top to get even more shares. I can see how many people have shared and to where. Best of all, you can reshare evergreen content easily. I like to choose 1-2 pieces of content to feature each day. Don't wait - just jump in and use it. You won't be sorry. If you want a how-to video and more details on how to use it, search my blog for my review there. Easiest way to promote content to new audiences and to get people who know you to share your content for you. "Viral & Awesome Social Media Promotion Tool!!" Viral Content Bee an awesome tool for sharing your articles virally on social platforms. It is a very helpful tool for bloggers and small businesses who want to promote their product and services. A great and legit tool to increase social sharing and generating traffic to the website. VCB doesn't support Instagram and LinkedIn sharing. Just Jump in and Use it. You won't be Sorry!! If you are hungry for blog post shares and grabbing huge traffic to your website and welcoming new audience just like me! Then start using VCB. My main concern was to get my blog post shared in order to gain more visibility among audiences. And I have accomplished that by using VCB. Secondly, with more social shares and visibility among people comes huge traffic to the website. You get traffic plus new subscribers and customers for your website. "The Social Media Managers Best Fried"
Viral Content Buzz's Dashboard is a lifesaver for me! As someone running multiple social media accounts across multiple platforms and industries it allows me to stay on top of the most current industry news for all my accounts and to share relevant and engaging content for my clients. The scheduler is also another tool that is crucial for me to maintain a level of excellence that my clients expect. Wether I am in the office or in the field or even on vacation it allows me to make sure that my clients are never lacking in content. I cannot enable the social backend for some of my accounts as they do not have enough of an audience so that is a major barrier for many of my clients who are small business owners just entering the social media marketing arena. A MUST HAVE for any social media coordinator running multiple accounts across multiple industries. The perfect tool to help ensure your clients are seen as thought leaders in their industries. 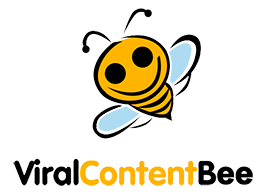 Viral Content Buzz solves 99% off my content aggregation issues as a social media manager. It allows me to track my messaging to make sure it is consistent and remains engaging . "Great Tool For Extending The Reach Of Your Content"
The fact that it serves as a great resource for launching content to a global social media audience. A lot of the community on this website is comprised of professional internet/social media/content marketers. So the community that uses this software are some of the brightest in the business. Because of that, its really cool to see who shares your content and helps spread things viral. There have been times when I submitted content that was not approved, even though it was editorial in nature. To that end, make sure your content is high quality and relevant to a wide audience before you submit. Also, there are probably some categories that could be added. All in all, however, I quite enjoy this tool and the 'likes' far outweigh the 'dislikes'. Make sure your content is actually worth sharing before submitting it to Viral Content Buzz. Add a hashtag to your titles - it helps their viral spread on Twitter when you use this service. If you are looking specifically for a viral solution for Facebook and Google+ - you may want to consider another source... but VCB is great for Twitter shares, Stumbles, and Pinterest pins. This tool does a great job of helping your content get shared - especially for businesses that have great content but lack a large community of their own to help get the word out. We have seen several of our posts go a bit viral (thanks to StumbleUpon, especially), and the new traffic source has been greatly appreciated. "Great for generating some attention to your posts"
It takes time, effort and often money to develop great content. It is hard to get the attention that your investment deserves, With VCB, I can quickly have some heavy hitters promote my content to their network. You can start for free and get credit by posting others posts. If you need to get a bit more attention, you can add credits for a very nominal price. They maintain quality control as this is meant to feature your best posts. This has been around for over a year but still feels a bit Beta. It takes time to get a platform like this fully intuitive but it is relatively easy to use. they have plenty of video guides but you can navigate without it. I like that they moderate content. This means that you need to wait for your posts to be reviewed. Only submit your best content. I am trying to promote content that we invested a lot of money and time into. I like the quality control. Compared to most blogging-tribe exchange websites, the quality control if very high. I also like the mix of services, covering Twitter FaceBook, Pinterest and StumbleUpon, as well as G+ upvotes. It would be good if G+ sharing could be added, too. I also like the stats. In fact, the current and past stats are remarkably in-depth compared to similar services. My biggest frustration is when people ask for pins, and their post does not have a pin-worthy image - and image that stands on its own. Then, I come across a request that has a very pinnable image, but the owner doesn't request a pin. Go for it. But you better make sure you have really good quality content, that is neither too salesly not contest. This is not for the Rafflecopter crowd. "Perfect social media promotion tool"
The site allows to have your client shared on Twitter, Facebook, StumbleUpon and Pinterest by real people. This is the best way to get extra traffic and engagement to your site and you gotta love the quality control! It's very easy and free - no excuse for not trying! It's a good thing to share your content with friends... but if you blog, you want more and more people to discover your site and return! VCB is one of the best ways to expand your network of sharers. Since it's a new platform and the developers are always making changes there are occasionally a few bugs or hiccups here and there, but they usually get addressed and fixed quickly. Use the platform daily for best results. More social action on blog posts for both myself and my clients. I like how it is growing up as the most non-intrusive way to bring your content in front of influencers. You don;t need to "pitch" anyone/ You just put your content there and interested people will share it! That's hard to find the line between long and high quality. This is very subjective. I hope the community will help! * We monitor all Viral Content Bee reviews to prevent fraudulent reviews and keep review quality high. We do not post reviews by company employees or direct competitors. Validated reviews require the user to submit a screenshot of the product containing their user ID, in order to verify a user is an actual user of the product. Hi there! Are you looking to implement a solution like Viral Content Bee?